I've had these little end tables/night stands in my home since I got married 9 1/2 years ago. At some point I loved them, but now I think they are just plain hideous. 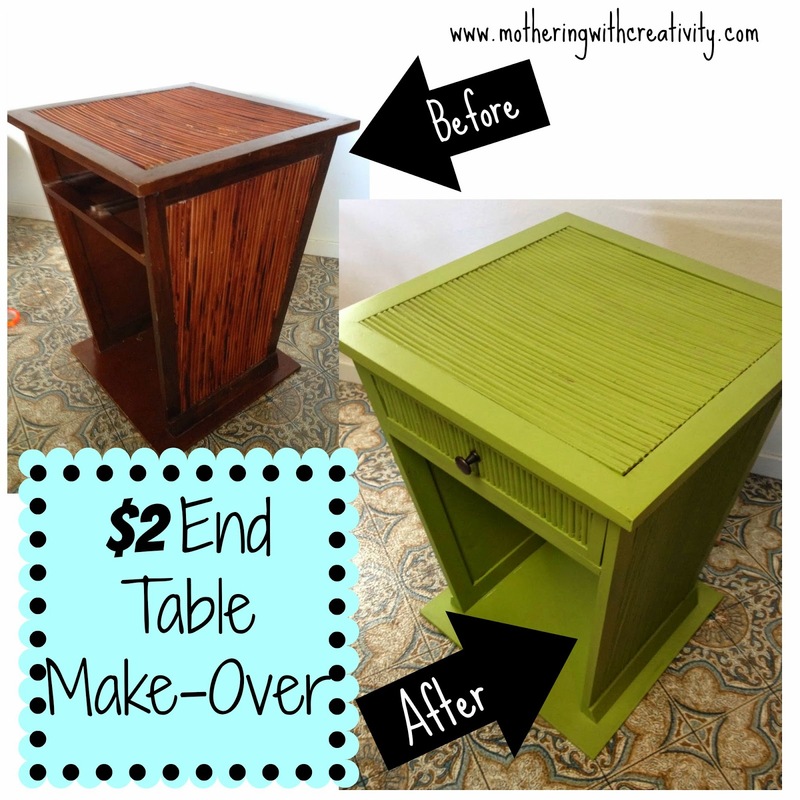 Since I have almost no money to spend on new furniture, I decided to paint them. 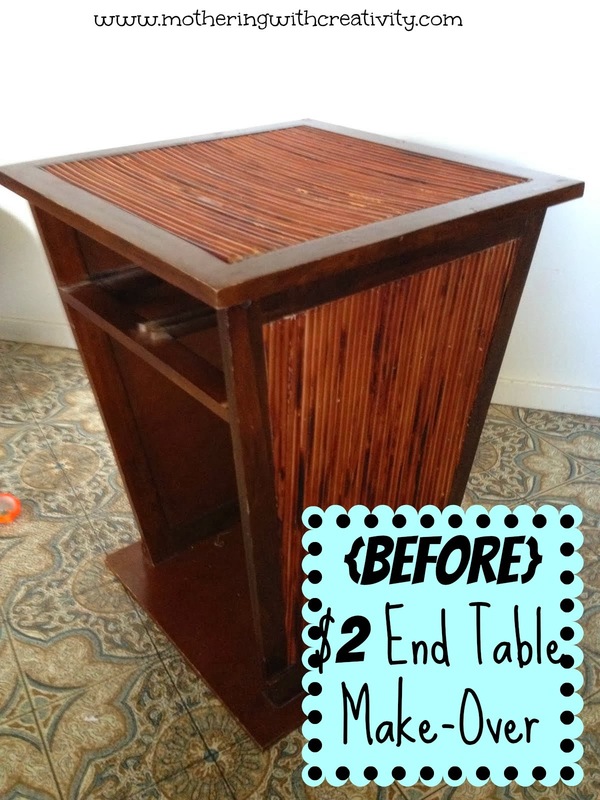 This is a great, frugal option to give new life to an old piece of furniture in your house. ^^^See how ugly they were? I scored on this paint at Home Depot in the "Oops" section. It was only $2. 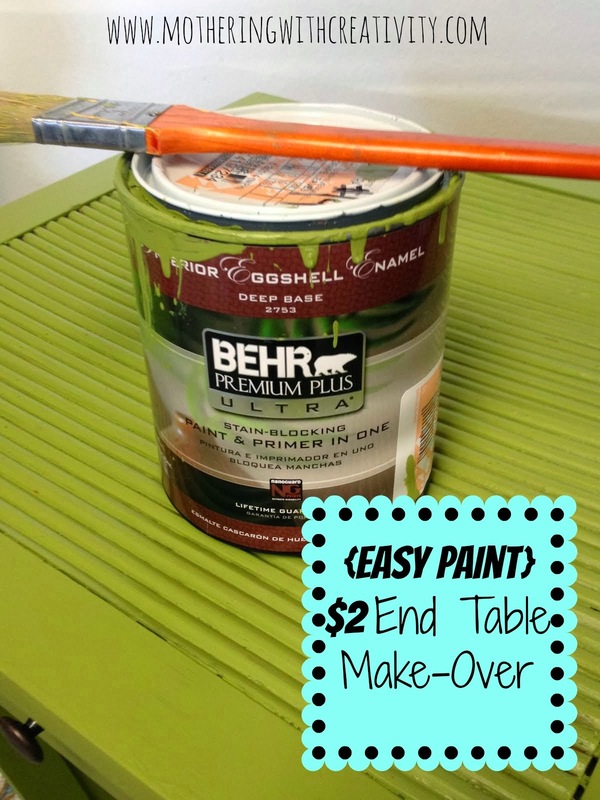 It is paint & primer in one, and I LOVE this stuff because it seems to stick to everything! 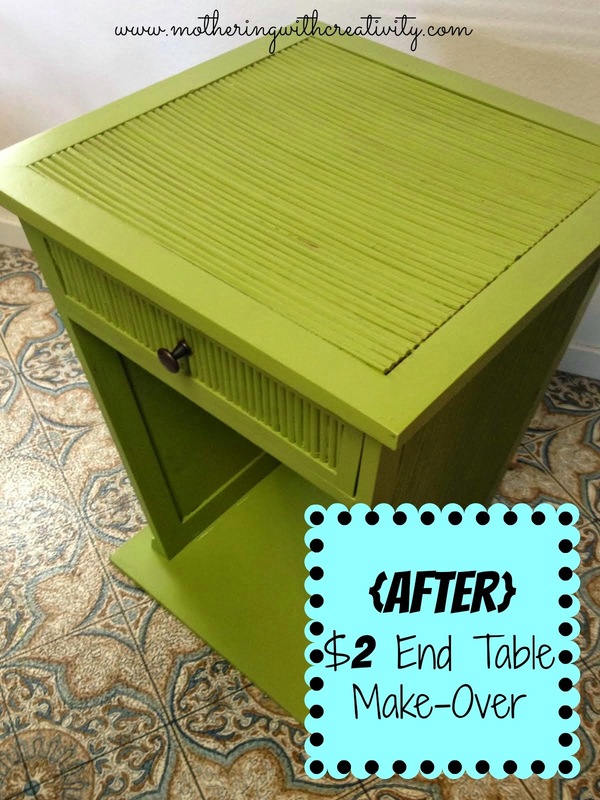 I used this same paint (in a different finish & color) on the laminate piano I painted a couple months ago. It goes on easily and I did not have to sand this piece at all. 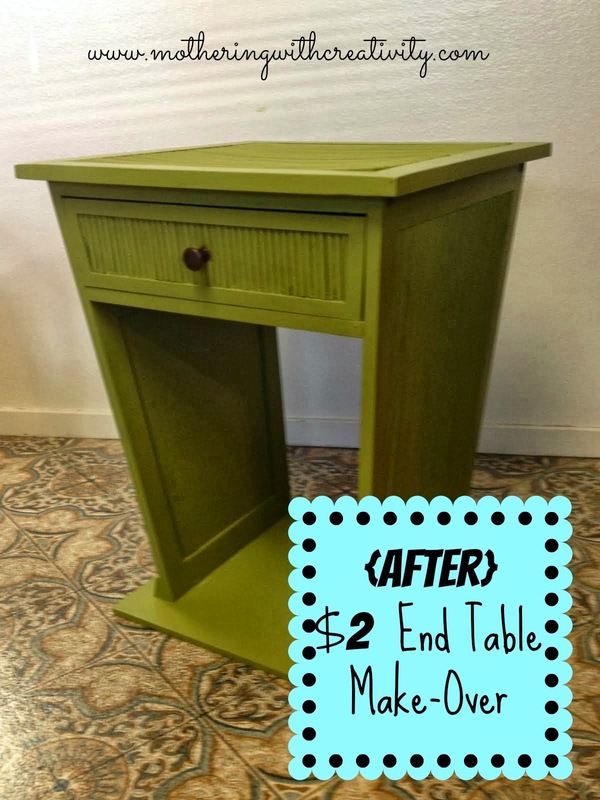 This table took 2 coats of paint, and I like the slightly shabby look of it. Although I didn't initially put any finishing coat on this piece, I am going to go back and add a coat of poly to at least the top surface, as I saw a scratch in the paint on top already. It will help protect the paint and keep it looking good for a long time!